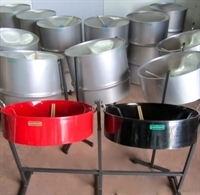 The best recommended package for starting a steelband where there is demand of many players, space and affordability being other considerations. 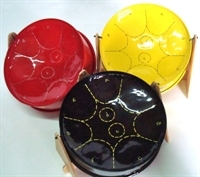 The best recommended package for starting a steelband where there is demand of many players, space and affordability being other considerations. This size of band will generate a full steelband sound and handle most arrangements. 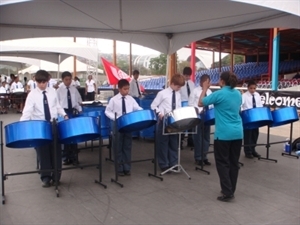 The variety of pans and voices allows exposure to all of the pans in the steelpan family of instruments and therefore development of players' capability of the full range.